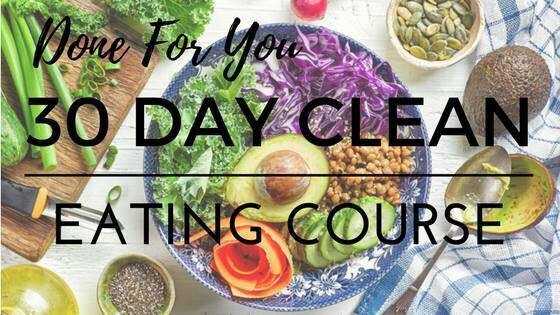 Join Kate's 30-Day Clean Eating Challenge! Within a supportive, private Facebook group, Kate's challenge will comprise a series of realistic, easy to understand and implement recommendations and lessons for lifelong changes. It costs £30, just £1 per day, and will start on 7th January 2019! If you would like to take part in Kate's 30 Day Clean Eating Challenge, or would like to know more, please drop us a line. New Mum? Weaning Or About To Start? Long-term friend & client of HA fitness, Sara Patience, has been commissioned to write a book about weaning for parents. If you're at this stage, Sara would love to have a chat to you about how you're finding it. Sara is uniquely qualified as a Paediatric Nutritionist (registered nutritionist) & Registered Health Visitor. She specialises in well child nutrition. Get in touch with Sara to find out more. Although available all year-round in supermarkets, spring onions are now just about coming into season and are at their peak in taste and flavour…well they didn’t get that name for nothing! They’re basically a normal onion picked early, before the bulb has had a chance to swell up, and they belong to the same family as garlic, leeks, shallots and chives. They contain no fat, no cholesterol, and are low in calories and salt. They’re also packed full of good stuff including vitamins A and C, iron, calcium and fibre. Research has shown that eating onions may help to lower blood pressure and cholesterol levels, and prevent the formation of blood clots. They’re also thought to protect against cancer and heart disease. There’s More to Them Than Crispy Duck Pancakes! Despite being small and immature, spring onions can still pack a punch! They’re ideal for quickly injecting a burst of flavour and a dash of colour into your food. Raw spring onions are great for adding an earthy kick to salads, sandwich fillings and salsas. The greens are also a tasty alternative to chives, and can be tossed into scrabbled eggs, cottage cheese, omelets and dips. When cooked, they can bring a subtle hint of onion flavour into a wide range of dishes, especially stir-fries and soups. They’re also delicious partnered up with ginger in Thai, Chinese and Japanese-style meals. Handle Your Onions With Care! Look for a bunch that’s got bright green and perky leaves. The bulbs should be hard, crisp and unblemished. Steer clear of any specimens that are slimy, wilting or limp! What is the difference between Clementines and Satsumas? For me, the deliciously tangy aroma of a Clementine or Satsuma being peeled and eaten goes hand-in-hand with the festive season. At this time of year, there are so many pleasurably calorific foods and drinks around, and these sweet fruits, which come in their own convenient and natural packaging, are one of the few Christmassy things that can be enjoyed guilt-free. But Is There Any Difference Between Them? Lets first talk about mandarins and tangerines. Mandarin is the collective name for all small orangey-type fruit (but not the bigger oranges). Tangerines are a variety of Mandarin, and usually have seeds in them. Clementines and Satsumas are similar to tangerines, but are cultivated to be seedless (although you’ll occasionally find seeds in them due to uninvited bees getting in on the breeding process) and are usually sweeter. Clementines are traditionally from North Africa, whereas Satsumas originate from Japan. It’s not easy to tell the difference between the two, although the Clementines are meant to have a slightly tighter skin. To make things even more confusing, different countries use different terms for defining the fruit. And shops have been known to mis-label the various varieties, so you may believe you’re eating a Satsuma, when actually it’s a Clementine! The Weighty Ones are More Juicy! As with most fruits, choose carefully and go for the ones that look shiny and healthy, without any bruising or discoloured skin. If you can, try and feel how heavy the fruit are. If they feel light, they’re likely to be disappointingly dry and juiceless. Summer berries and salads may no longer be in season, but that’s no reason to cut back on your 5-a-day fruit and veg portions. British apples and pears are delicious and definitely worth hunting down at the moment. Food that has been grown locally always tastes better, and you can feel virtuous for supporting British growers and reducing your food miles! Choose organic for the best taste-bud experience. Both apples and pears have a stronger flavour if you eat them at room temperature, although storing them in the fridge will keep them fresh for longer. Apples and pears are both low calorie and low GI, so make good weight-loss snacks. Nutritionally, they’re much better if you eat them raw with their skins on. One chin-dribbling, juicy pear will provide you with zinc, vitamins C and E, some B vitamins and lots of dietary fibre. Pears are great on their own and are also really tasty in salads. Try combining the sweetness of pears with slightly bitter salad leaves such as radicchio, rocket and watercress. For a special treat (that'll make your diet go a bit pear-shaped!) try poaching them in red wine, or drizzling baked pears with chocolate! Crunchy apples are full of lots of good stuff. They’re a great source of nutrients, such as potassium, calcium, vitamin C and dietary fibre. Apples are a great snack when eaten raw, sliced up with yogurt or grated on muesli. They can also be made into a healthy sauce when pureed and served with meats such as pork. Of course they can always be made into yummy, diet-demolishing crumbles, pies and strudels! Conference pears are named after an international pear conference, where the variety won first prize in 1885. All Bramley apples are descended from a tree that is still growing in Southwell, Nottinghamshire. Performing hundreds of sit-ups maybe great for developing a six-pack, however most of us need to concentrate on reducing that not-so-attractive layer of fat top first. It’s not just about the way you look that’s important. If you tend to store fat around your middle you have a greater risk of developing conditions such as heart disease and diabetes. Just how big is too big? The British Heart Foundation says that you have a greater risk to your health if your waistline is larger than 94cm (37”) for men or 80cm (32”) for women. The best way to get your waistline back is by eating a healthy, low fat diet plus lots of regular exercise. Basically you need to burn off more than you put in. To quantify this, one pound of stored body fat equals 3500 calories. Put another way, if you create a 3500 calorie deficit in a week through diet, exercise or a combination of both, you will lose one pound. That might sound a lot, but over a week, it amounts to just 500 calories a day. The best way to do this is to increase your activity levels so that you are burning an extra 250 calories, and decrease your food intake so that you are consuming 250 calories less a day. A 14 stone person walking fast for 35 minutes (not necessarily all in one go). If this all sounds too much, just think that doing more than you are doing now is a step in the right direction.